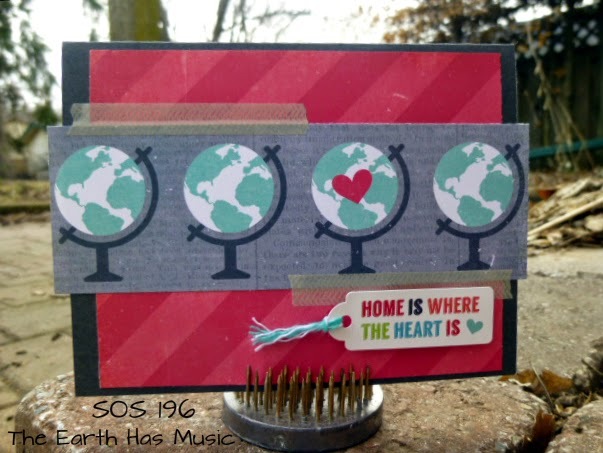 This week the SOS crew have teamed up with WORDS TO SCRAP BY for a fun crossover challenge. This week's theme is "The Earth Has Music." Interpret the prompt any way you'd like: earth...music...or both! 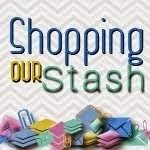 You can enter your projects on both SHOPPING OUR STASH and WORDS TO SCRAP BY this week. Check out the SHOPPING OUR STASH BLOG for all the details on the challenge and while you are there be sure to visit the blogs of my SOS teammates and show them some crafty lovin! Fab theme - I love all those little globes on your card as well as your aptly used sentiment! Love how you used the world globes and the sentiment great. Awesome job for the challenge. So glad us Words 2 Scrap By gals had a chance to team up with the SOS DT for this fun challenge! Such a great card! I forget I have EP stickers sometimes, but you've reminded me -- they work perfectly here! Cute! I love all the little globes. Very creative and so well done! oh my cuteness! I love the globes and the little heart - awwww! This is so stinkin' adorable!